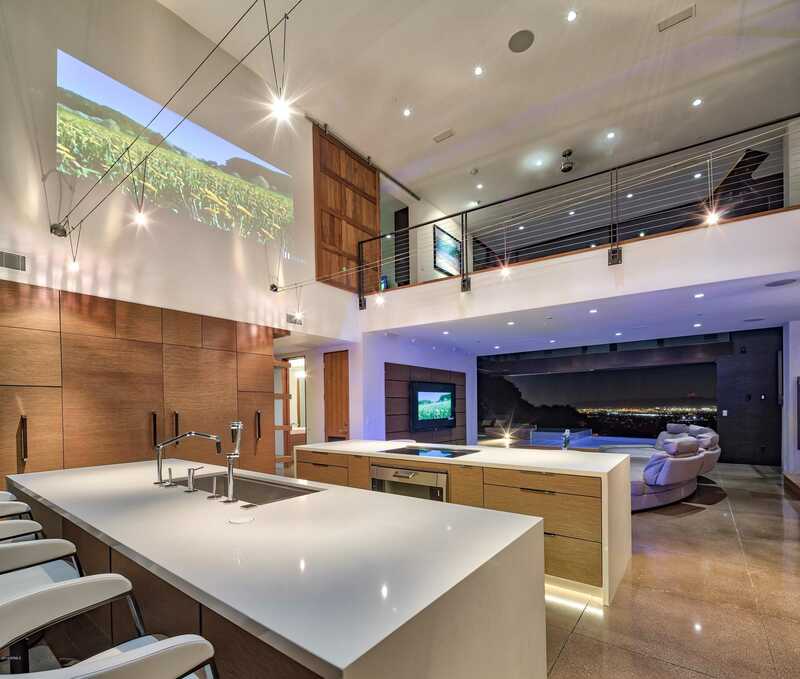 Home As Art” is a fitting phrase for this Magnificent Contemporary Glass Retreat, nestled against the head of Camelback Mountain, with the boulders literally right outside your door, and unobstructed views of the city stretching out before you from every room. Disappearing Walls of Glass open to fireplaces, negative edge pool/spa, waterfalls, a cabana and rock boulders. A fabulous Euro-kitchen has 2 center islands with Miele appliances and a projector that casts photos directly onto its 2 story walls. A private bridge to your own PRIVATE TRAILHEAD will have you hiking in minutes. The property is both in Paradise Valley and Phoenix!Will also make a great investment property, netting $300,000 per year ! Has been rented by major Celebrities in the past. I would like to schedule a private showing for this property: MLS# 5729495 – $6,995,000 – 5212 E Red Rock Drive, Phoenix, AZ 85018.